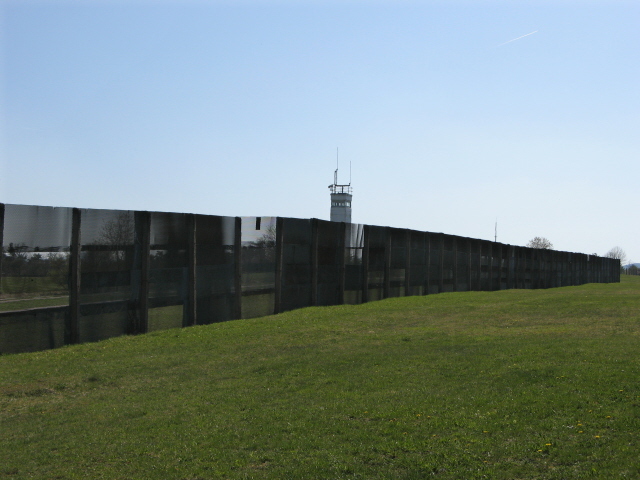 A double museum on the themes of the former border between the GDR (East Germany) and the FRG (West Germany), on the one hand, and the Cold War and US military observation of the border, on the other. These are complemented by a stretch of border that has been preserved and/or reconstructed, with various fortifications and a watchtower. With its double focus on BOTH East and West it's one of the most significant sites in the category of border museums. 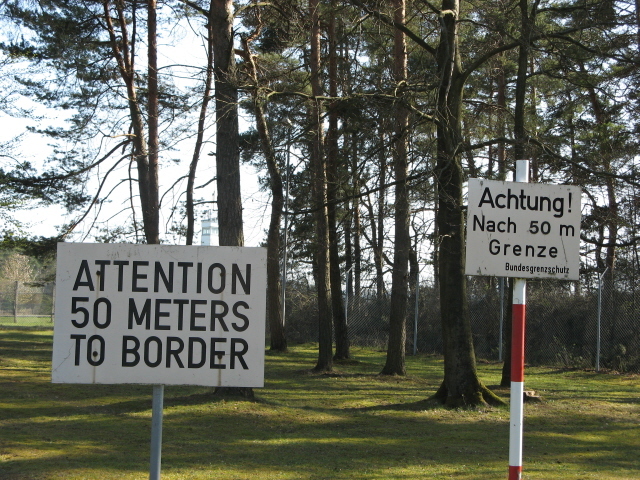 For the USA this was thus a particularly sensitive place, so they had taken over monitoring and patrolling this part of the border themselves – rather than leaving it to the regular West German border police. 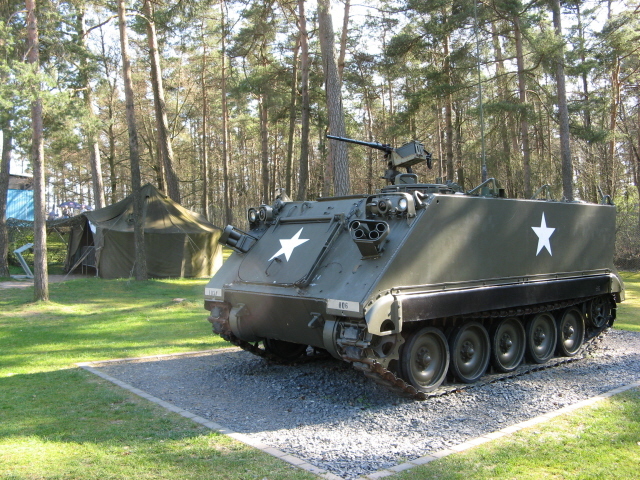 At Point Alpha a special observation post, permanently manned by at least 40 US soldiers (which could be upped to 200 in times of crisis), was set up, complete with communications gear and some heavy armoured vehicles. 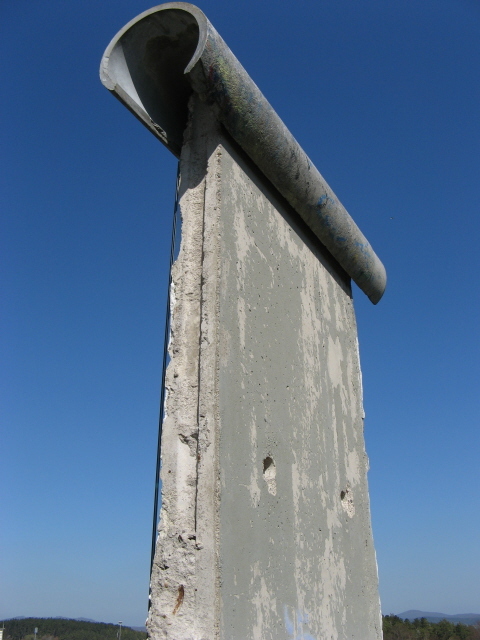 The GDR's border fortifications, on the other hand, were quite average here, even though they too were continuously being improved, just as elsewhere. 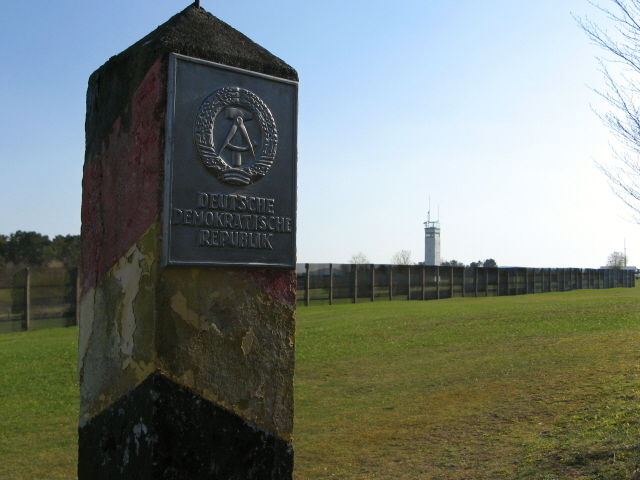 But there wasn't anything particularly special here on the GDR part compared to other stretches of the border. 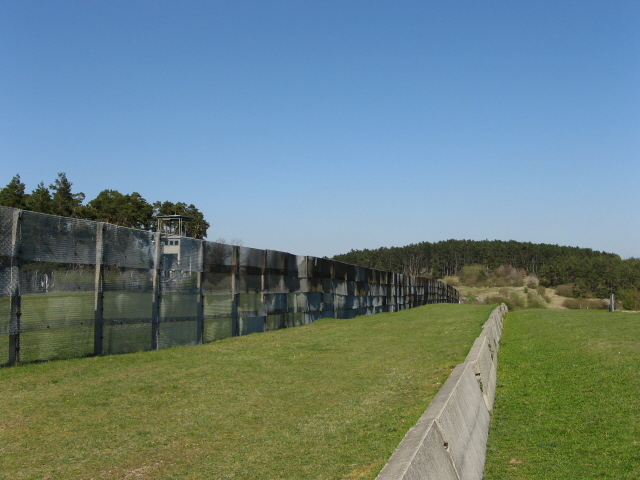 In comparison to other such border museums, then, what is actually left of the border installations at Point Alpha may perhaps be less impressive than at other such sites (e.g. Mödlareuth or especially Hötensleben). 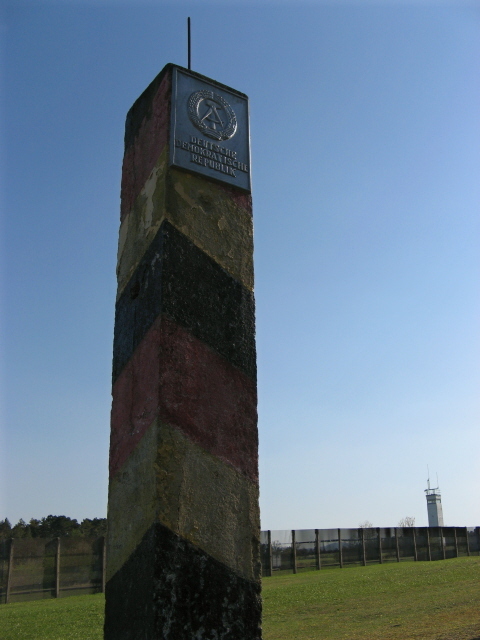 But what sets this memorial complex apart from all others is precisely the fact that it combines the look at the border as a monument of division between the two Germanies within the wider context of the Cold War – and in particular the specific US perspective: as this particular point was a potential hotspot of the East-West confrontation, i.e. one where the Third World War could have begun. 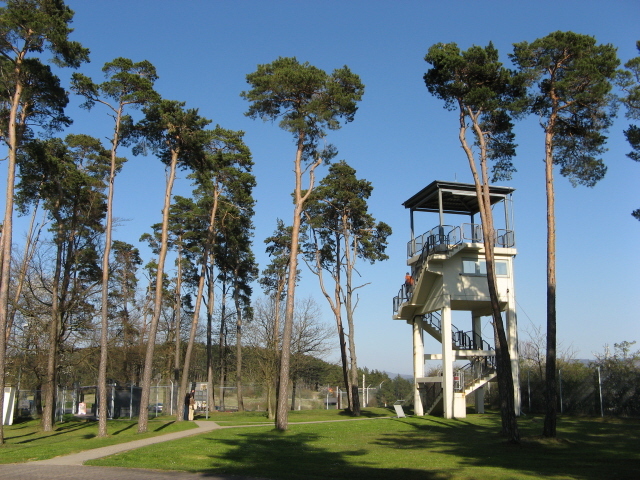 What there is to see: The complex has two focal points: one is the border museum on the former GDR side, the other the former US post on the western side with both indoor and open-air exhibitions. In between, along a stretch of the former border there are relics and reconstructions of border fortifications and installations from various periods of its history. Beginning on the "eastern" side, the first port of call is the GDR border museum – called "Haus auf der Grenze", 'house on the border', it was purpose-built as a museum years after the opening of the border. 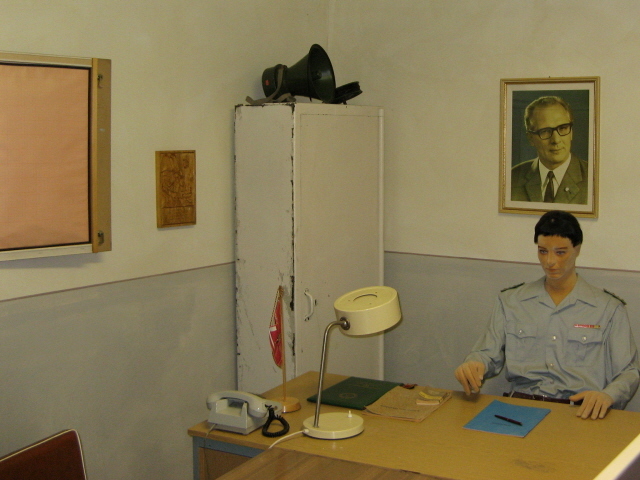 It has displays of vehicles and other gear of the former border troops on the eastern side, several dummies in "period" uniforms, a reconstructed border guardroom, complete with a then obligatory portrait of Erich Honecker on the wall, a stretch of border fence with a (replica?) 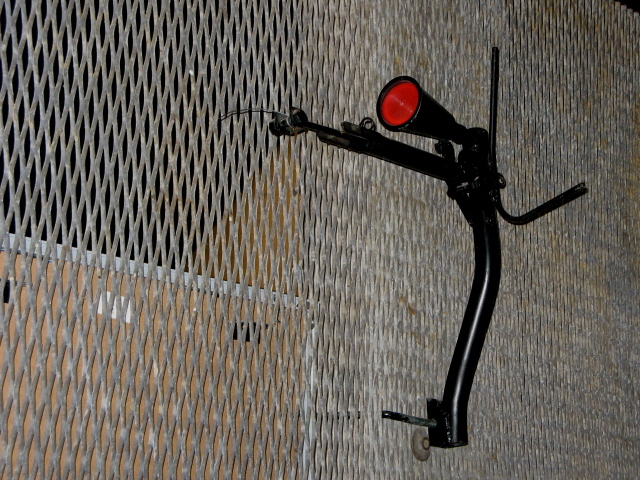 spring gun, and various other artefacts, plus photos and documents. The dummies may look a bit cheesy, but otherwise it's an interesting exhibition. Outside the museum a segment of the Berlin Wall is displayed, and a modern spirally monument admonishes "peace". From the museum car park a border walk leads off in both directions. To the north, it is commodified as a model border reconstruction – in stages. 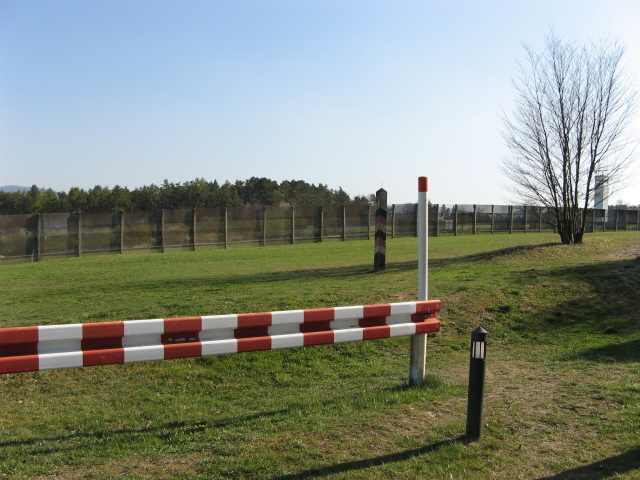 Displayed are early barriers and simple barbed wire fences, then increasingly sophisticated "improvements". 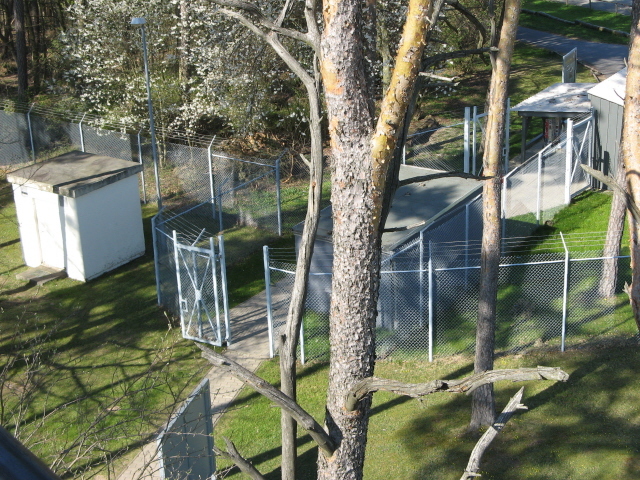 This also included "Hundelaufanlagen" or 'dog-run installations': in these, specially trained guard dogs could run up and down a stretch of border between two fences on a leash that was attached to a wire parallel to the fences – so that the dogs could run freely and catch any "Grenzverletzer" ('border violators' – i.e. people trying to flee across the border into the West). Today's display, however, only has a stationary plastic dog dummy on a rather flimsy-looking chain by a poxy dog house – not quite the scary look of what the real thing must have been like. 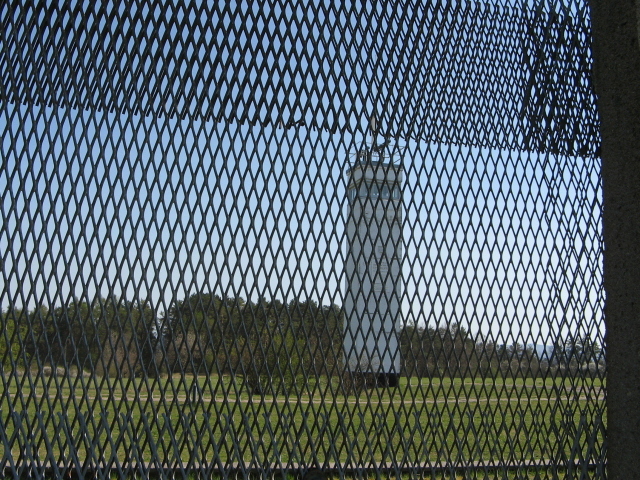 On the western side of this you can already see the observation tower at the US Point Alpha post. 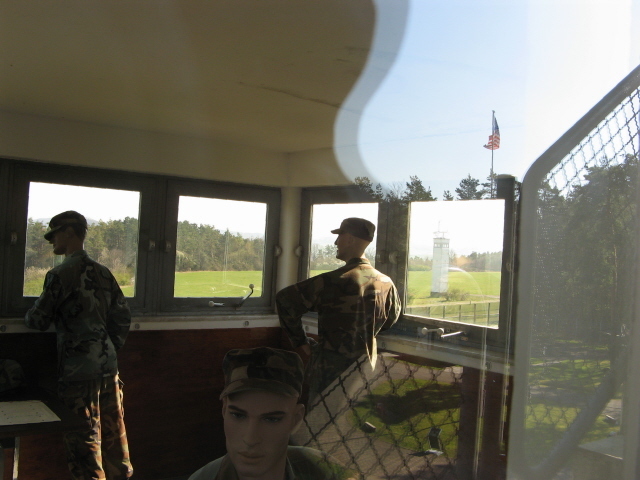 This is more accessible in that you can climb the outside stairs to the top and view the reconstructed observation post inside through windows: again, it comes complete with a (similarly cheesy) dummy display of US soldiers looking intently over towards the east. Behind the tower and some more (now western) fences, lies the area of the former US post, which now forms the other museum at the site. 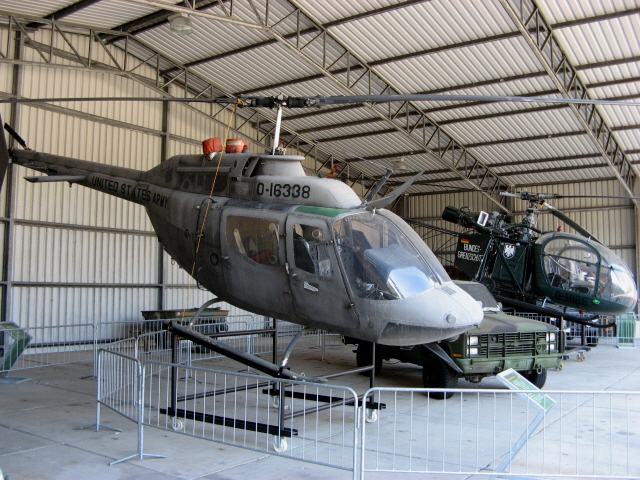 It consists of several large open-air exhibits, including tanks and helicopters, complemented by a smallish indoor museum. 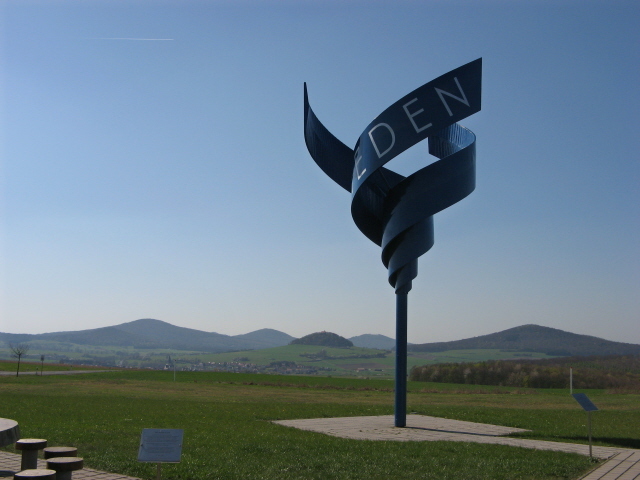 This, in contrast to the border museum on the eastern side, is more concerned with the wider context of the Cold War and possible scenarios of how it could have turned "hot" – which would most likely have resulted in the total nuclear annihilation of all of Germany. 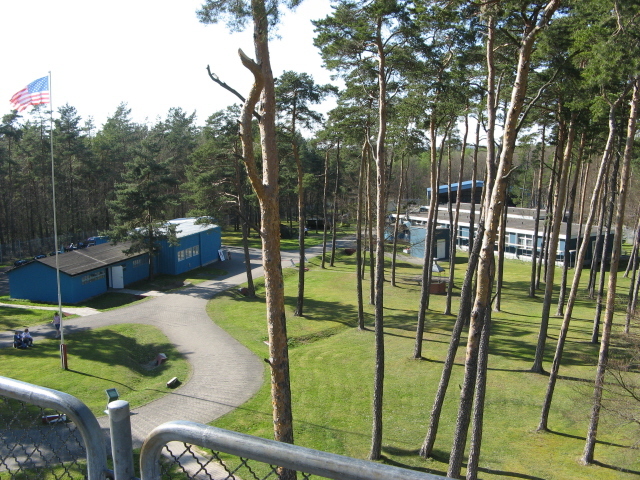 Outside the Point Alpha museum, the course of the former border continues into the woods and over the hills. By the car park there are some preserved relics such as border marker pillars, a barrier and old warning signs. 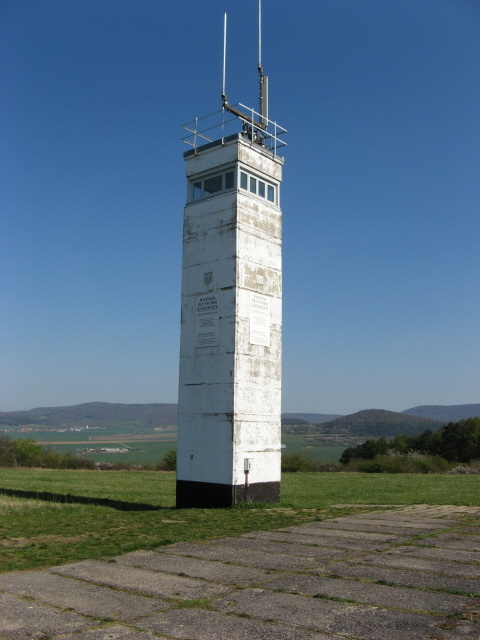 In addition to these three core parts of the site, you can also walk along the former border for miles on what is now called the "Green Belt" – along the trail various information panels have been erected, and there are also further remains of watchtowers. To do this, you'll need more time – but you won't learn an awful lot more. I'd reckon that for most dark tourists just doing the two museums and the partly reconstructed stretch of border between them will suffice. More recently a series of additional sculptures was set up along about a one-mile /1.5 km stretch of the former border. These are collectively called "Weg der Hoffnung" or 'path of hope' and were intended to mark the 20th anniversaries of various stages that led to German reunification, from the beginnings of unrest and protests in the GDR to the official date of reunification on 3 October. The form this commemoration takes, however, is somewhat surprisingly rather heavily religious in style; the monuments themselves are all related to the biblical story of the Stations of the Cross (cf. Jerusalem) rather than to anything noticeably connected with the theme of the former border or the Cold War. 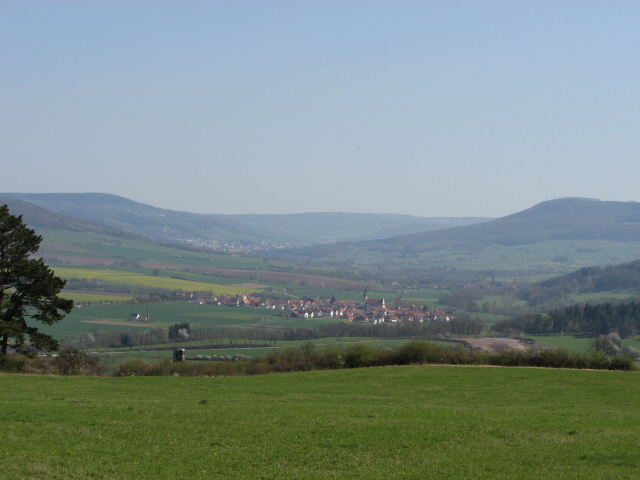 Location: right on what today is merely the border between two of unified Germany's constituent states ("Bundesländer"), namely Thuringia and Hesse, roughly 20 miles (30 km) north-east of Fulda, between the two villages of Rasdorf and Geisa. Access and costs: somewhat remote, but quite easily reachable by car; not expensive. Details: To get to Point Alpha you'll need a car. From the A7 motorway take the exit north of Fulda onto the B27 towards Hünfeld. Turn off into Hünfeld and get on the B84 and just beyond Rasdorf take the 3170 towards Geisa. 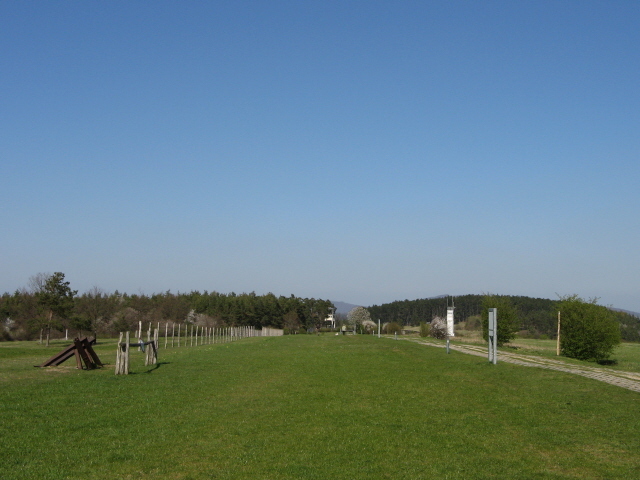 The car park for the GDR border museum will be on your left after about a mile (1.5 km) directly by the road. To get to the US Point Alpha first, look out for the access road leading into the forest. Both places have their own car parks. The walk between the two places along the former border is a bit over half a mile long. Time required: for the museum, the central border strip displays and the former US camp at Point Alpha, about two hours should do. Obviously, if you want to walk the longer hiking trails along the former border and its surroundings, then you'll need a lot longer (and will have to stay overnight in the area). Combinability with other dark destinations: in general see Germany – the regional museum in the small town Geisa, just down the road on the "eastern" side of the former border, also has a section about the border and about life on the GDR side of it, including, rather endearingly, a reconstructed typically GDR living room and displays of kitchen appliances. 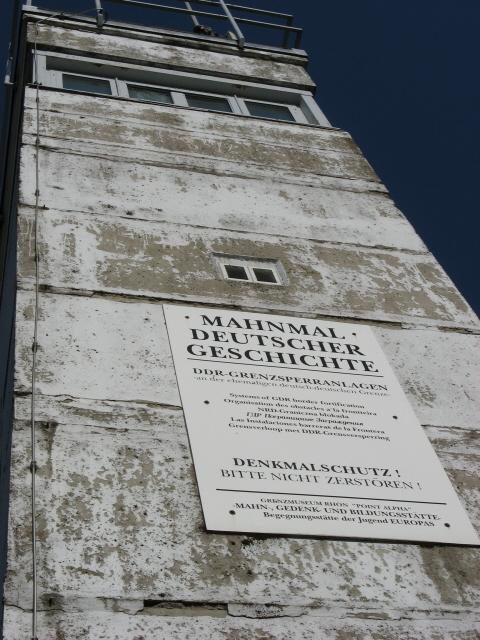 If you're driving in your own vehicle on a longer dark tour of Germany, then a visit to Point Alpha can be worked in as a stop en route between Nuremberg and Leipzig, Dresden or Kassel (with its funeral museum). 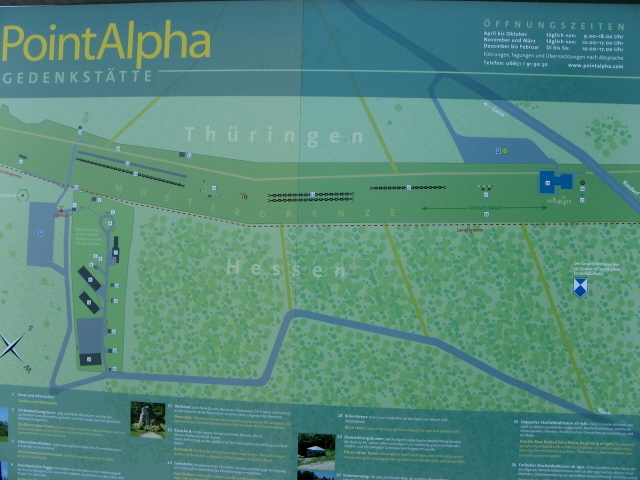 Thematically, of course, Point Alpha combines best with the other border museum/memorials, such as Schifflersgrund or Hötensleben/Marienborn to the north or Mödlareuth to the south-east. 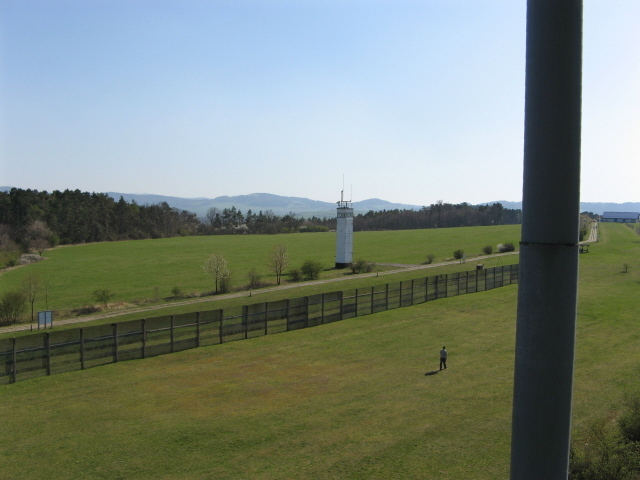 Combinability with non-dark destinations: in general see Germany – the Rhön area, in which Point Alpha is located, has been given the UNESCO status of a 'biosphere reserve', so there's lots for nature lovers to discover here. Rasdorf on the western side of the former border is a particularly old village sporting an ancient medieval church and a well-preserved fortified cemetery (a real rarity).